Sam’s Club is a warehouse store that, like Costco, requires you to become a member and pay an annual fee. Sam’s Club membership costs $45 a year, which is cheaper than Costco’s $55 annual fee. When paying such fees, your first thought is likely: Is it worth it? After all, Sam’s Club is owned by Walmart, which is known for low prices. Plus, it costs nothing to shop there. Wouldn’t you save money and avoid membership costs by shopping at Walmart or a local grocery store? Maybe you would. Maybe you wouldn’t. Each person has their own shopping habits, and these habits tend to dictate how much money you will save by shopping at one store versus another. Given that Sam’s Club has a wide variety of items – many which are not found at other supermarkets – many shoppers find that Sam’s Club offers many money-saving benefits. Read on to see if Sam’s Club may be worth it for you and your family. The first thing you should keep in mind is that like other warehouse stores, Sam’s Club offers items in bulk. Need chicken for dinner? Be prepared to buy 10 pounds of it. Need rice? Load up the 20-lb. bag. You get the picture. Unlike your local store, you can’t simply walk into a Sam’s Club and buy a small amount of any item. You have to buy large amounts, so you better have room for it and you better eat it quickly to avoid spoilage. Also, Sam’s Club offers different foods and products. It offers gourmet cheese and wine, baked goods, mattresses, furniture, electronics, clothing, pet products and other items your local store probably doesn’t carry. On the flip side, though, it also lacks products and brands that your family is used to eating and using. As a result, many shoppers do not use Sam’s Club exclusively for all their shopping needs. In fact, many people do not even live near a Sam’s Club, which means that they may only be able to shop there once or twice a month, and shop at a local store the rest of the time. Besides access to unique products and great prices, Costco offers other benefits. 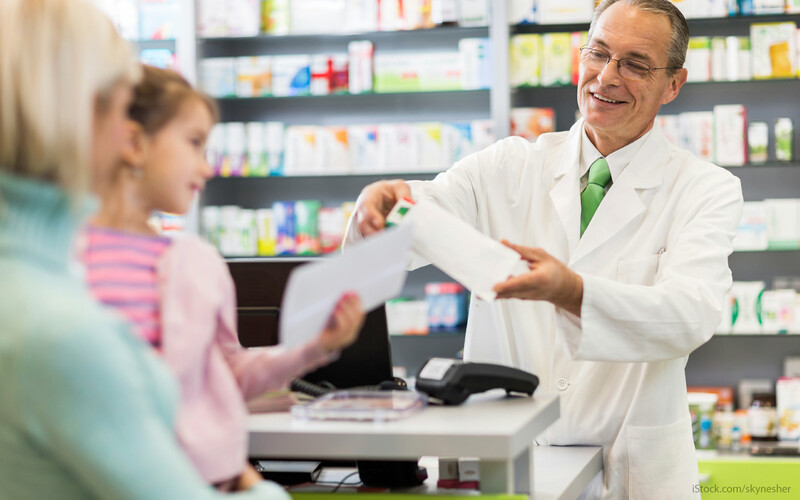 It offers a pharmacy for you to get prescriptions filled. It also offers cheap gas. At more than 10 cents off per gallon compared to other gas stations, in many cases, it’s the cheapest in each state. Sam’s Club also has a tire center that offers good pricing on tires, as well as free flat repair (no matter where you bought the tires), free battery testing and free windshield wiper replacement. Many locations also offer affordable eye exams. As a Sam’s Club member, you’re eligible for even more savings. You can apply for a Sam’s Club Mastercard, which gives you 5% back on gas purchases. Also you can earn 3% cash back on travel and dining purchases and 1% cash back on everything else you buy. In total, you can receive up to $5,000 in cash back per year. Like every store, Sam’s Club allows you to save big in some areas, but for some products, you may be better off shopping elsewhere. Many Sam’s Club members see significant savings on medications, particularly ibuprofen and nasal sprays. If you and your family require expensive prescription drugs, it may be worth it to become a Sam’s Club Plus member. This costs $100, but given how costly prescriptions can be, it may be well worth the cost. You get five free 30-day refills of select medications. You can also get generic versions of more than 600 medications for under $10. Plus, you can save up to 30% on all other prescription drugs. Batteries are also a good purchase at Sam’s Club. If you have kids, you know that you can never have enough batteries for toys, electronics and other household goods. You can save big at Sam’s Club. Even when compared to Walmart, you can save as much as $7 by purchasing a 34-pack of AAA batteries. Many food items are also a good deal when purchased at Sam’s Club. Sam’s Club is especially known for its excellent prices on snacks. For example, when buying crackers, chips and granola bars in bulk, you can save big. You would save $5 or so over buying these items at Walmart. Many shoppers like the low prices on dairy items. Milk, cheese, cottage cheese, butter and sour cream can be found for great prices. You do have to buy in bulk, though, and these foods do spoil. Fruits and vegetables are also a good deal when bought in bulk at Sam’s Club. You can save big on apples, strawberries, grapes, blueberries, bananas, tomatoes and potatoes. However, keep in mind that these foods spoil quickly, so if you won’t eat them in time, you could actually lose money by having to throw out spoiled food. Energy bars such as CLIF bars are also cheaper at Sam’s Club. Some report that Walmart costs twice as much, so purchasing these bars at Sam’s Club means huge savings. Paper products may or may not be a good deal at Sam’s Club. Some report that paper plates and diapers are cheaper at Sam’s Club. Some report that toilet paper is more expensive, at $1 more for the same brand and number of rolls. Others, however, claim it’s cheaper to buy paper products at Sam’s Club, as long as you buy the largest package possible. Soda also appears to be cheaper at Walmart, costing as much as 50% less. So if you’re a big soda drinker, make sure you compare prices. Also, olive oil and meats tend to cost nearly the same. Frozen fish is also a better deal at Walmart. For salmon fillets, Walmart offers then at around 30 cents a pound versus 47 cents a pound at Sam’s Club. Hot dogs and sausages are also cheaper at Walmart, at 37 cents a pound, versus 40 cents a pound at Sam’s Club. If you’re in need of blank CDs or DVDs, you’ll want to head on over to Walmart. You can get 100-packs of these items for $1-$2 cheaper. Sam’s Club offers products that you likely won’t find at your local store. Plus, if you have a large family and need to buy in bulk, Sam’s Club offers large sizes that fit your needs. Your local store likely won’t have the 20-lb. bag of rice you’re looking for. However, if you’re a family of one or two, then the products at Sam’s Club will likely be too big to fit your needs. You’ll end up wasting a lot of food, and combined with the $45 annual membership, you could end up losing hundreds of dollars. While not all items at Sam’s Club are cheaper than other stores, many items are, and this might be well worth the annual fee. If you’re in doubt, do some comparison shopping and see for yourself. Shop at your favorite places and find out which products are cheaper. You may find that having a Sam’s Club membership is well worth the expense. Want to learn more about Wallmart and saving? Check out our article on not assuming things are cheeper just because they came from Wallmart! Warehouse Club Stores: Should I Join a Club Membership? Bought a 70 inch Visio television from Sam’s. it went out in less than 2 years. Sam’s membership!! What a rip off. Costco not only covers your electronic purchases they give you 2 year electronic coverage for free. They also have concierge service. You call anytime to ask questions and get help with your electronic in your case your TV purchase. They will walk you step by step setting it up and you can call them as many times as you need. I love them just for the 2 year extended warranty alone. Also anything you buy you can return anytime even years later (save the boxes). For electronics its 90 day return. All else theres no deadline. Good luck. Sams is a good place to shop for items in bulk.But the jewelry department is horrible.I sent my engagement ring in that my fiancé bought from Sams to have a diamond put in that fell out when I was cleaning my ring and the replacement center received it on the 23 of October and I still have no clue where my ring is…I will never buy jewelry from Sams again….. Thanks for the Great Post, Great info thanks.